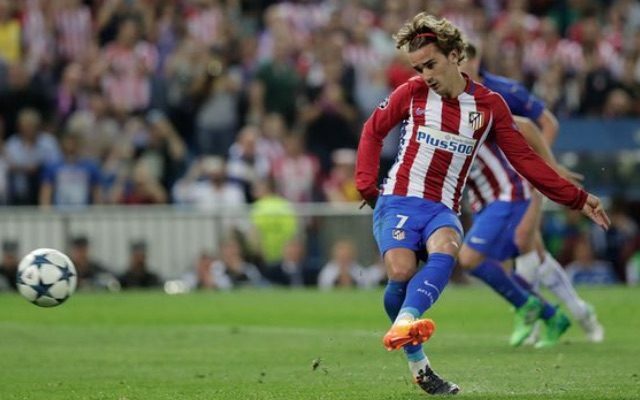 One-nil specialists Atletico Madrid beat Leicester City by their favourite scoreline on Wednesday night to take control of their UEFA Champions League quarter-final. Atletico dominated possession with 67.9% and fired in nine more shots than Leicester, but all that separated the sides was one truly ridiculous penalty. The Spanish champions were awarded a controversial spot-kick midway through the first half when Marc Albrighton fouled Antoine Griezmann outside the box. Leicester goalkeeper Kasper Schmeichel had saved penalties in each of his last two Champions League games, but he didn’t get close to this one as Griezmann sent him the wrong way.